Today we are going to compare audio sections of several phones. If you like facts, figures and standards read on. I would like to mention that I am testing the methods of comparing audio sections here, so feel free to offer feedback on our forum. The selected models represent the most interesting solutions available at the moment. 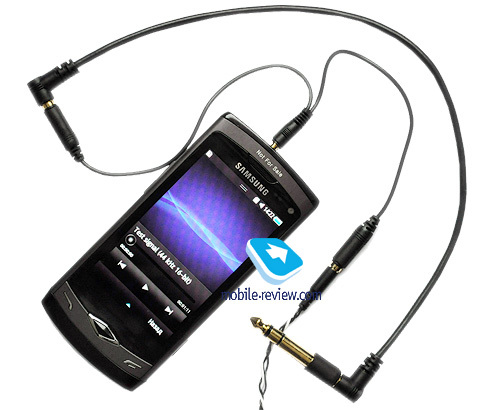 The term "music phone" is not popular now as any model has to play music well, especially if you don't ask for too much. Each model is popular and attracts attention of particular demographic groups. iPhone offers music playback quality similar to that of Apple iPod, which is valued by consumers. Going to the testing itself bear in mind the structure: subjective comparison is followed by audio section measurements enabled by RightMark Audio Analyzer. Subjective comparison is simple. Ten parameters for comparison are selected with the help of Prime Test CD1 and Ultimate Ears UE11PRO. As we have three models to test they can occupy places 1, 2 and 3 respectively. The leader gets 3 points, the runner-up must be happy with 2, while the outsider receives 1 point despite coming last. When we can't rank the models accordingly we act depending upon the situation. To my mind it helps to evaluate the gadget in general. All parameters were assigned equal value. Several factors in subjective comparison were not mentioned here, but if you are interested in details, please read other related articles. Factual measurements were made with the help of Creative X-Fi Elite Pro sound card, Cardas interconnecting cable and Fischer Audio AD-211 splitter. The latter enables the parallel connection of the tested device to the sound card line input and load represented by Fischer Audio Lambda headphones. Readers unaware of testing with the help of RightMark Audio Analyzer (RMAA) should bear in mind that in the audio file we record several test signals to be played by the testing device and these signals are recorded from the audio section. The resulting file is opened in RMAA and analyzed. I would like to mention that all options responsible for sound correction were disabled on all tested devices. 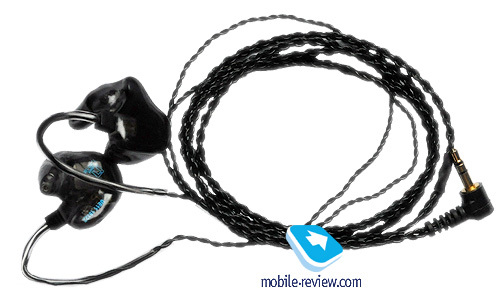 We used Ultimate Ears UE11PRO for testing. Comfort volume is a crucial parameter as you need to have something in store. Not any headphones can be "boosted" or have decent noise insulation, etc. The testing of this parameter was relatively straightforward – on one and the same track the volume was increased from zero to the comfort level. Samsung Wave: maximum 14 points; comfort level – 7 points or 50% from the maximum level. Samsung Wave loses to both rivals (1 point), while Nokia N8 is an undisputed leader with 3 points, followed by Apple iPhone 4 (2 points). 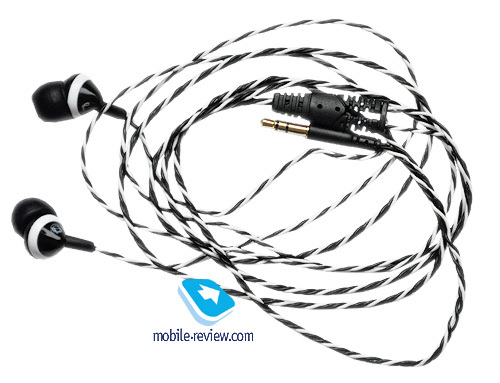 This parameter is vital for low-resistance and high-sensitive headphones. Hissing and other alien sounds may irritate during the listening. Samsung Wave: software disabled audio section produces no background noise, but on quiet tracks we heard slight hissing, but in the street and in the majority of headphones you will not hear these artefacts. Apple iPhone 4 and Samsung Wave finished neck and neck (Wave produced a bit more noise and it gets 2 points instead of 3), while Nokia N8 lags behind – clicks are worse than background noise (1 point). To my mind the level of AFR is a serious advantage when "boosters" are disabled. Have the engineers managed to achieve that in products we tested? Samsung Wave: mid frequencies are highlighted, which leads to the loss of low and high frequencies. 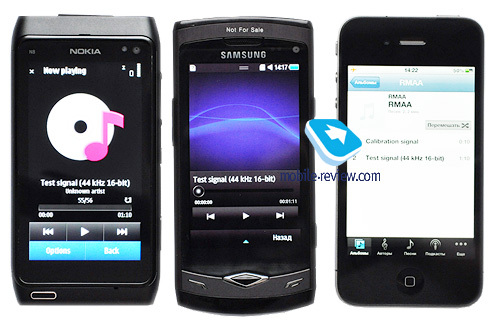 Nokia N8 gets 3 points, iPhone 4 – 2 points, while Samsung Wave must be happy with 1. Samsung Wave: the bass is not deep enough and the details are not worth mentioning. 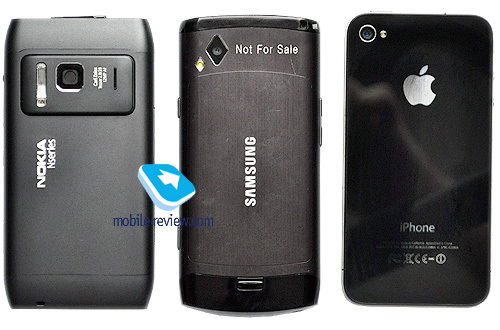 Nokia N8 wins 3 points, Apple iPhone 4 gets 2 points and Samsung Wave has only 1. Samsung Wave: unnatural sound is caused by boosted mid frequencies, but sibilants were not heard. We could not determine a clear winner. Samsung Wave: the performance is similar to that of Apple iPhone 4. Nokia N8 emerged victorious here and got 3 points, Apple iPhone 4 and Samsung Wave got 2 points each. Macrodynamics can be described with at least two notions – dynamic range and attack. The dynamic range is the difference between the softest and heaviest sounds, which can be reproduced by a system. Bear in mind that in the majority of contemporary recordings this range is artificially narrowed down and even the most high quality systems have certain limitations here. According to my experience the best way to review the dynamic range is to listen to a piece of classical music. If you can clearly hear the volume difference between the instruments the dynamic range must be fine. If all instruments have the same volume during the entire music piece – you have to change the test recording or audio components. Then comes attack or a capability to convey sound nuances during the initial sound reproduction. It can be a music instrument or a vocal part. In fact, it describes the speed of sound range increase to its maximum level. If the audio system has serious problems with the attack there may be problems with the sound reproduction. For example, fast cymbal or drum beats are likely to merge into one blurred sound. Speaking about microdynamics we have to mention the notion of resolution (detail), which explains the sound reproduction of the smallest nuances in a music piece. The higher the resolution the more information you will get from the recording. Samsung Wave: unclear attack and narrow dynamic range. iPhone 4 and Nokia N8 deservedly get 3 points each, while Samsung Wave is left with 1 point only. Samsung Wave: the phone swallows details to sound beautiful, but the full picture is lost. So Apple iPhone 4 and Nokia N8 get 3 points each, while Samsung Wave gets 1 point. I will quote another article of mine for the reference. The perception of the scene is quite subjective: location of instruments, voices and the volume of the picture produced by the player with headphones. As any such assessment is limited by the internal impressions of a human being all differences in terms of width, breadth and precision of instruments location can be important. Samsung Wave: wide and deep elliptical stereo pan. In this case Samsung Wave wins and gets 3 points followed by iPhone 4 (2 points) and Nokia N8 (1 point). iPhone 4 and N8 are more universal and get 3 points each. They can handle classical music and heavy metal. At least they will perform better than Samsung Wave, which is a hostage of simple tunes, so it gets 1 point only. It can play pop music, rap, simplistic jazz takes or blues. It sounds nice, but don't expect details. Samsung device unpleasantly surprised by its player features, while the Finnish offering is good apart from noise with the active screen. Cupertino people managed to create a quality audio section for a phone, but too many technical details in the resulting sound slightly spoil the picture, while N8 has natural and detailed sound. Probably the issue with the active screen generated noise in N8 is a defect of a particular sample. I remember a similar case with Nokia 8800 Arte, when at high volume (if the music is played through the speaker) accelerometer was activated and a clock appeared on the screen. Don't forget that all problems are solved once you disable the screen, so N8 is good for music listening. Watching movies or playing games will not be as pleasant if you want to listen to the sound via headphones. To my mind the choice must be made between Nokia N8 and iPhone 4, because the difference is not dramatic. I am more accustomed to the sound of iPhone, but it is merely a habit. Apple iPhone 4 gets 22 points, Nokia N8 is happy with 23 and Samsung S8500 Wave is languishing with 13. Together with my personal impressions Nokia N8 is the best of 3 devices closely followed by iPhone 4 with Wave being completely down and out. Taking into account the limitation of our testing method I suggest that both Nokia N8 and iPhone 4 must be crowned champions and Samsung Wave will be second best. The nominal winner is Nokia N8 and hopefully I got my calculations right. I offer readers who can interpret RMAA calculations find a correlation between a subjective comparison and factual measurements. Feel free to share your analysis on our forum. The winners of the test can easily compete with ordinary players like Cowon S9, J3, while Samsung Wave should not be used as a player unless you absolutely don't want to carry another device around. I will continue using iPhone as a system on the go and a testing device, because as the test revealed it is a decent mass market solution. Anyway I wish you to make the right choice of the model and I hope our test will be helpful. I do not suggest choosing a handset merely on the basis of its sound quality, but this article may assist you in deciding whether to buy a player or keep on using your phone.